Family owned and operated company since 1931, Karoun Dairies celebrated its 85 years anniversary in the cheese making and dairy products business. Pure and natural Middle Eastern KAROUN cheeses and dairy products preserve the historic Armenian and Mediterranean heritage of the Baghdassarian family. KAROUN handmade all natural traditional Armenian Middle Eastern specialty cheeses and Mediterranean specialty dairy products do not contain any additive. KAROUN DAIRIES INC Middle Eastern cheese and Mediterranean dairy products are produced according to genuine traditions and rigorous quality standards for your health. 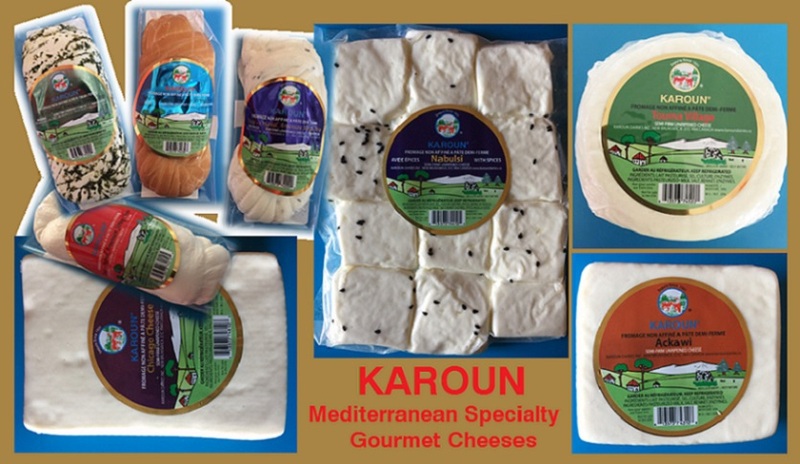 Karoun Dairies pure and natural Middle Eastern cheeses, Ackawi, Armenian string cheeses, Nabulsi, Chicago and Village Touma original quality cheeses are yours to enjoy! Karoun Dairies Inc. pure and natural artisan white gourmet cheese and dairy products are a real delight.